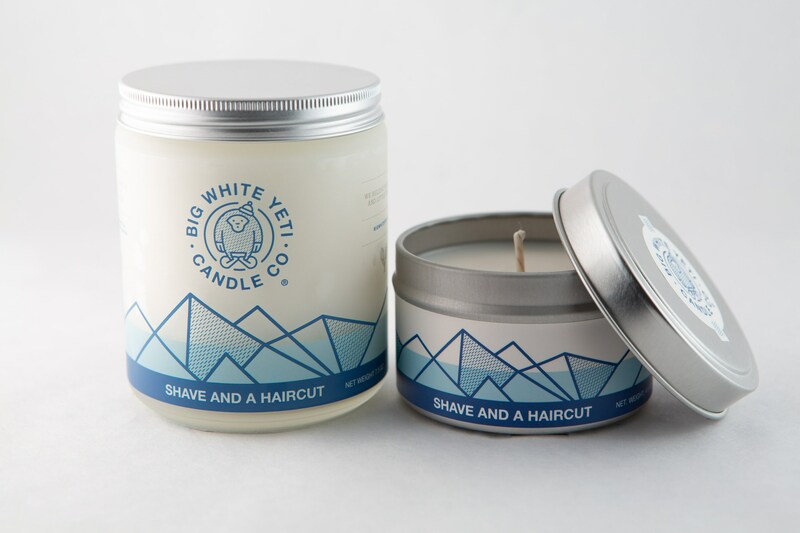 Around the Yeti studio, we call this one the "Don Draper" because we think it's what Don would smell like when he's on his A game. But since we don't want to get a cease & desist from the lawyers over at Mad Men, we've opted for Shave and a Haircut. 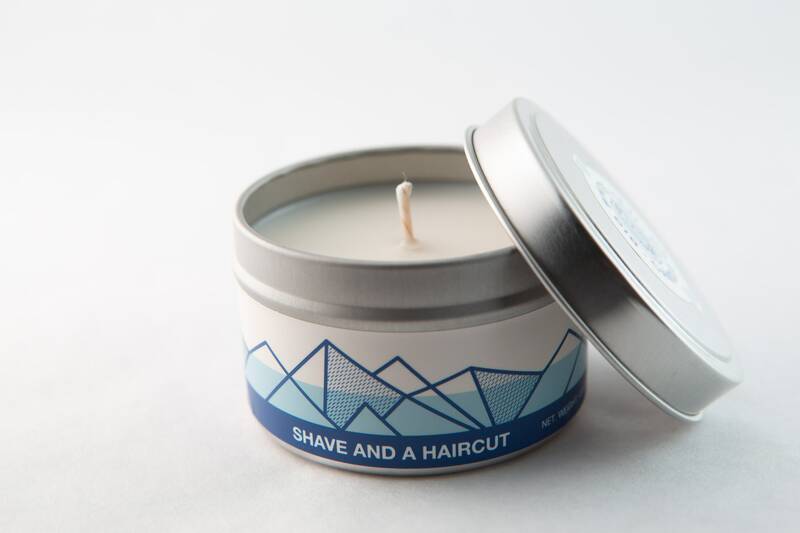 This candle combines the scent of a strong yet sweet aftershave along with hints of spice and orange zest. It's surprisingly unisex- both men and women love it. 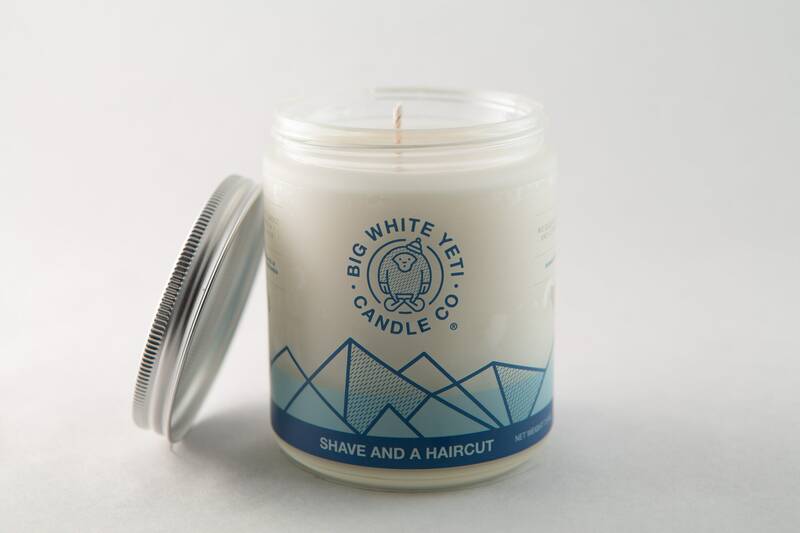 If getting a vintage barber shop pole for your living room is proving to be a harder weekend thrifting venture, pick up this candle. It's a solid second choice. This candle is hand poured and contains natural everything- 100% soy wax, a cotton wick, and premium quality fragrance and essential oils. Shave and a Haircut has a great fresh smell. I wish it was a tad stronger as far as fragrance while it’s burning, but otherwise I love it! Love it reminds me of being slapped in the face by a brute of a yeti. I love that feeling! I love this candle. it smells clean, and good. you will not be upset.